Your sleeping dragon is so precious. Love those dies and flowers. Your card is gorgeous. 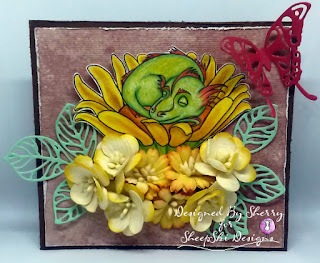 Aw, your adorable green dragon looks fabulous nestled in your pretty flowers, Sherry. thanks for playing in the 2 Crafty Critter Crazies Challenge. 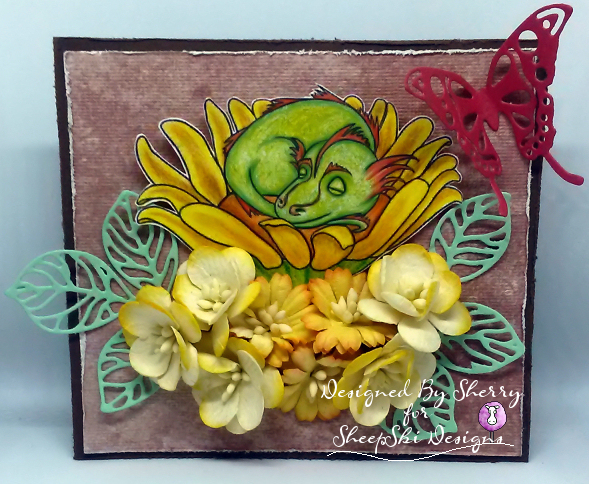 What a magical card to have the dragon sleep amongst those beautiful flowers. So happy you could join us this week over at the Tic Tac Toe challenge. Such a precious little dragon, Sherry! He does look cozy! Thanks for playing along with us over at Quick QUotes this month! So adorable !!! Thanks for joining us at Quick Quotes. what an adorable little dragon! thank you for playing with Quick Quotes challenge this month!